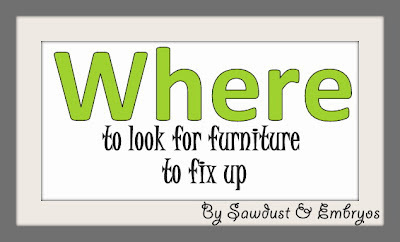 WHERE to look for furniture to fix up! 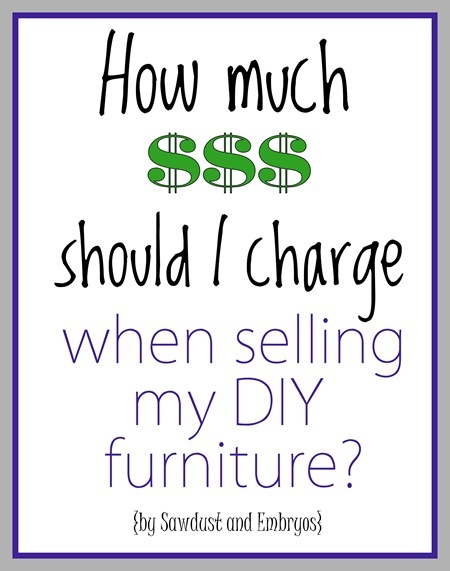 We did a post several months ago, laying out some tips for SELLING your furniture (or anything) on Craigslist. But lately we’ve been getting a lot of emails from friends and readers wondering what our secrets are for FINDING great deals on furniture! And today we’re going to spill the beans! 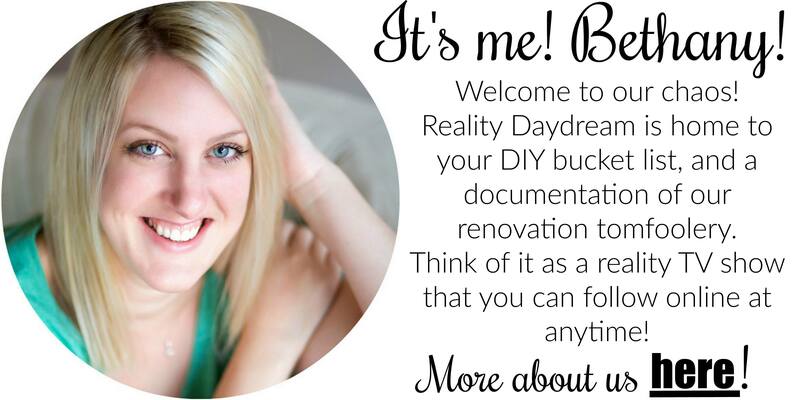 This is specifically for our fellow DIY readers that are wanting to find, purchase, and ‘redo’ (by whatever means!) furniture. 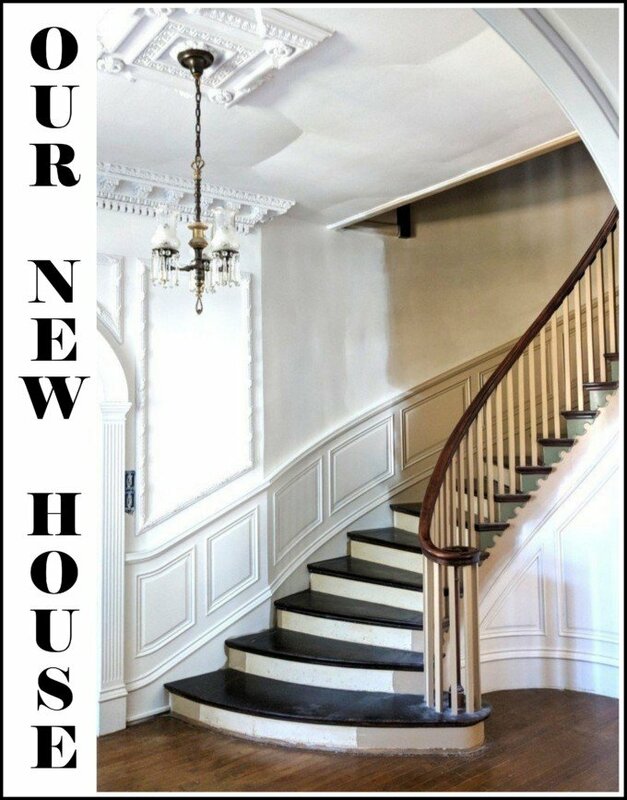 Whether it be for your own home, or flipping to sell. 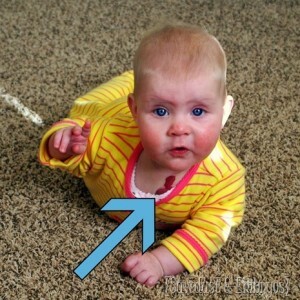 This will be a two-part series, discussing WHERE to look, and WHAT to look out for! Let’s start with WHERE! CRAIGSLIST ~ This is our main source of furniture findage (new word! Add it to your vocabulary!) We’re diligent to check new postings frequently. For every ONE piece of furniture we purchase, there are hundreds we had to browse through. Don’t be disheartened if it seems like there’s NEVER anything good! You have to wait for it. Unfortunately, we live at least an hour away from a craigslist city. But fortunately… we’re centered directly between four large-ish cities. That quadruples our chances of scoring great finds! Every time we’re traveling to one of those cities (for whatever reason), we’ll look at THAT craigslist to see what they have. We rarely find something we love enough to make a special trip for. GARAGE SALES ~ I mostly garage sale to feed my need for digging through other people’s junk. Occasionally I’ll find a piece of furniture that I like, and if it’s at the right price, I’ll bring it home. For some reason, most of the garage sales I’ve been to this summer have been majorly over-priced. So I’ve passed on some good stuff because people think they’re going to have a garage sale and then retire with their proceeds. SORRY! Not gonna happen. THRIFT STORES ~ They’re everywhere, and they’re filled with treasures…. and a whole lotta garbage. If you can muster the musty smell, snoop around your local thrift store every few weeks. AUCTIONS ~ As you know, I’m new to the whole auction scene, but from what I understand… most auction houses have a website and update it with dates of auctions and photos of what will be auctioned. If you keep an eye out for when they have estate auctions, or at least furniture present, you can score some great old furniture at great prices. Plus it’s just plain fun. FACEBOOK FOR-SALE PAGES ~ I have to admit I haven’t had much luck with this one. It seems like our local ‘For Sale’ page is full of little garbage that should be burned. And you can’t search in categories, so you’re stuck browsing through all kinds of uninteresting things. Like bedazzled i-phone cases and stained throw pillows. And when there IS furniture, I find that I could probably buy the item brand new in a furniture store for less $$ than what the person wants for it. Moving right along! THE SIDE OF THE ROAD ~ Yep, so you’re driving along, and you see that someone set their coffee table out by the curb. Pull over, get out of your car, and proudly pop it into your trunk. There’s no shame in recycling! You may also find good stuff sitting by dumpsters or even in burn piles! Keep you’re eyes open! These are the sources that we’ve used to acquire furniture, but surely there are others as well. We just want to share what’s been working for us! 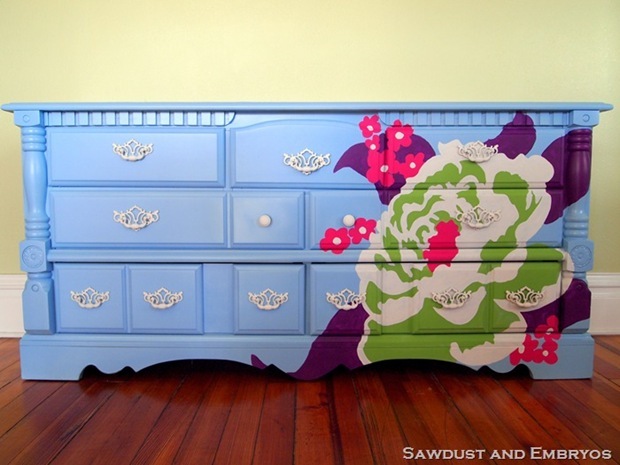 Feel free to shout out other good furniture goldmines in the comment section! 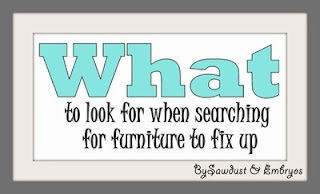 For info on WHAT to look for when seeking out a piece to fix up, check out this post! 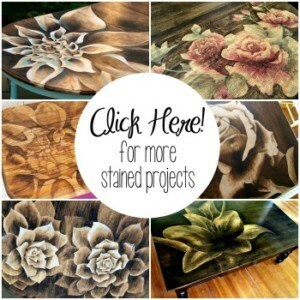 « Leah’s Checkerboard End Table–and a Friggin AWESOME Stencil! 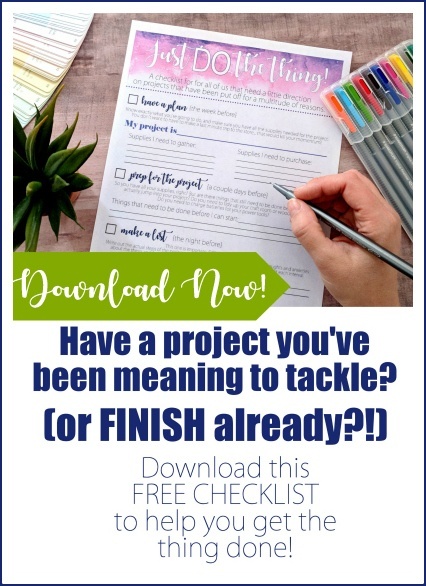 I hope this helps someone out somewhere along the line. Keeping my fingers crossed it turns out to be a case of, “better late than never”! Hello. I have found SO many good items by the side of the road, where people have set out stuff for the trashman! Found a rocking chair from the 1950’s a family didn’t have room to take when they moved. It was made by Drexel Furn Co and I had it recovered in leather! Awesome looking now. Our Habitat for Humanity has “surprise” sales-tomorrow, everything is 50% off. Always keep your eyes and mind open and you don’t know what you’ll find! That’s a really good thought! I’ve heard others talk about Habitat for Humanity, but I’ve never gone for myself. We’ll have to stop in sometime! Thanks! Have you been to a Habitat for Humanity Re-Store? The one in the Des Moines area can be a bit pricey, but other ones I’ve been to have sometimes been much cheaper (and the proceeds go to a good cause anyway). Reminded me of Nick in your picture! What were these people thinking! My step-dad taught me the benefits of ‘dumpster diving’ as we call it 🙂 My parents got a nice marble-topped bathroom sink with cabinets below for free from the curb, a large linen shelf-thingy, and a working vacuum from the curb over the past few years. My husband and I recently got this awesome red-velvet chair with a paisley/flower pattern near the dumpsters at our apartments that I can’t wait to clean up!! Iowa city is having their annual “rummage through the ramp” this week. Lease day here is august 1st so all the students are moving in/out. There are treasures ALL over the curbs this week. The great thing about this event is they take donations that people are throwing out, make a little money AND save a bunch of usable items from the landfill. They do it in a parking ramp and everything is priced from$1 to $20. On saturday they do a name your price sale to get rid of the leftovers. Last year they saved 20 tons (wow!) From going to the garbage. Its pretty neat, like a giant garage sale. Im sure you’ve heard of it but im so excited to go for my first time! Hwy 141 is having their two day garage sale Aug. 3rd & 4th. It goes from Grimes to Manning. Lots o garage sales along the way! You may find your treasure! We are fortunate/unfortunate? enough to live a few miles from a transit station (mini dump) in a farmer’s field. It’s where people bring large garbage so there’s always furniture there. I’ve gotten a few things from there. It’s embarrassing, but I wear my sunglasses.